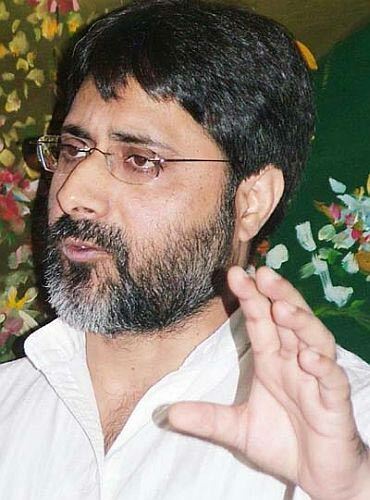 Former Delhi University lecturer SAR Gilani was on Saturday granted bail by a Delhi court in a sedition case related to an event conducted at the Press Club last month. Additional Sessions Judge Deepak Garg granted the relief to Gilani on a personal bond of Rs 50,000 and one surety of the like amount. Gilani's counsel, Satish Tamta sought bail for him, claiming there is nothing on record that Gilani shouted anti-India slogans or asked others to do so. It was a meeting of intellectuals to discuss the Kashmir issue, he said. "There was nothing in the event which led to any violence as there was nothing that could be called incitement," Tamta said, adding that as per the Supreme Court order, shouting slogans merely doesn't amount to offence under section 124-A(Sedition) of the Indian Penal Code. However, the Delhi police had opposed the bail plea saying the event was "an attack on the soul of India" and it was "contempt of court." "The incident was in the continuation of what had happened in the Jawaharlal Nehru University0020a day earlier. As per the statements of Press Club of India officials, anti-India slogans were shouted and Gilani was also involved in it. Gilani had violated the law of the land and the offence was grave," the prosecution added. Earlier on February 19, a magisterial court had dismissed the bail plea of Gilani, who was arrested on February 16, after the police had alleged that "hatred" was being generated against the government. Then police had told the court that an event was held on February 10 in which banners were placed showing Parliament attack case convict Afzal Guru and Maqbool Bhat as martyrs. It had also said the hall in the Press Club was booked by Gilani, through his associate Ali Javed by using his credit card and another man Mudassar was also involved. At the Press Club event, a group had allegedly shouted slogans hailing Afzal Guru, following which the police had lodged a case under sections 124A (sedition), 120B(criminal conspiracy) and 149 (unlawful assembly) of the IPC against Gilani and other unnamed persons. The police had claimed to have registered the first information report taking suo motu cognizance of media clips of the incident. Following registration of the FIR, the police questioned DU professor Javed, a Press Club member, who had booked the hall for the event, for two days. Gilani was arrested in connection with the 2001 Parliament attack case but was acquitted for "need of evidence" by Delhi high court in October 2003, a decision upheld by the Supreme Court in August 2005.